A leading gem connoisseur and collector from a long history of jewelers, Benjamin Zucker joins us Sunday to recall his worldwide travels to acquire precious stones. Hear about the Taj Mahal emerald that inspired his novel Green and the fourth-century Roman diamond in Elihu Yale: Merchant, Collector, and Patron. Look closely at this painting, a vision from one of Jahangir’s dreams (click through to zoom in). He and Shah Abbas both wear rings designed to protect their thumbs during archery. (Jahangir’s ring also symbolizes friendship and brotherly affection.) The shah’s translucent ring is probably made of white jade; Jahangir’s is probably walrus ivory. Its brownish color makes it unlike any other archer’s ring we know today. 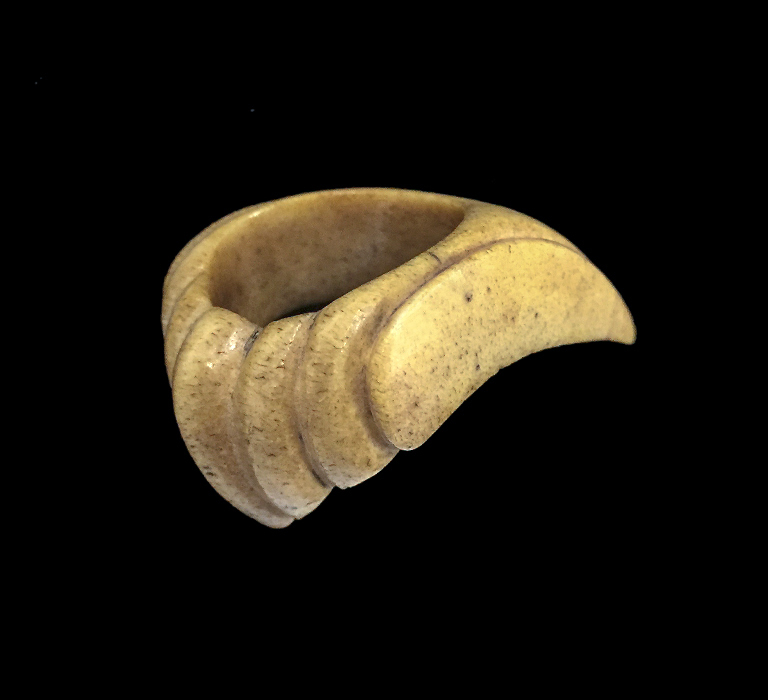 We’re not sure whether the ring on display was made for Jahangir—but scientific tests have determined that it, too, was carved from walrus tusk. See the ring and painting while they’re on view through December 18, and don’t miss Zucker’s talk on Sunday at 2 pm. Emperor Jahangir particularly desired “striated and mottled fish-teeth” from Siberia, which he described as beautiful. In the 1600s, people thought walrus tusks would reduce swelling and serve as an antidote to poison. Today, we focus on the long-term survival of the marine mammal. The US Fish and Wildlife Service may put the Pacific walrus on the endangered species list, and several states are considering banning the trade of walrus ivory.